Alan Moore, the man who revolutionized comics, returns to tell a horrifying tale in the world of Garth Ennis' grueling survival horror series, Crossed! Set 100 years in the future, Alan Moore has created a whole new world and history with stunning attention to detail. Examining how civilizations rebuild and how generations grow, Moore weaves a rich tapestry of humanity evolving under extreme hardship, all of which is lushly rendered by Gabriel (Ferals) Andrade. Archivist Future Taylor leads a salvage team working to rebuild the historical record of the original Crossed outbreak. She's seen them in videos, but never any live ones — the Crossed are part of the distant past. Until suddenly, a handful appear, and the blood begins to flow. But, all is not as it seems as a horrific mystery unfolds and once again Alan Moore redefines the medium. 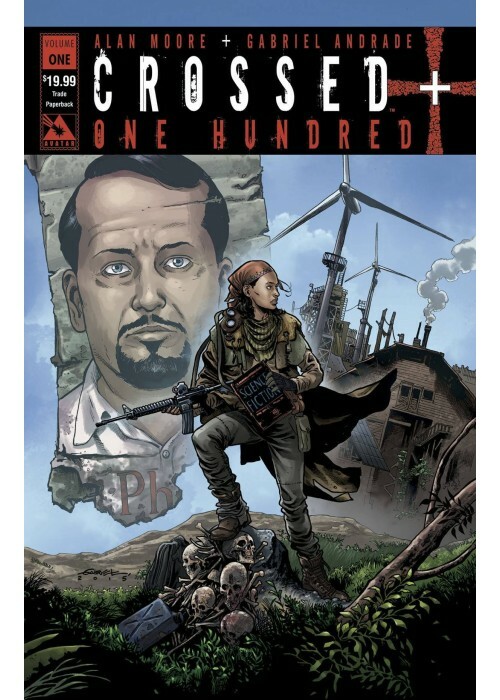 This masterwork is a self-contained whole new world, no prior knowledge of the Crossedseries is needed. 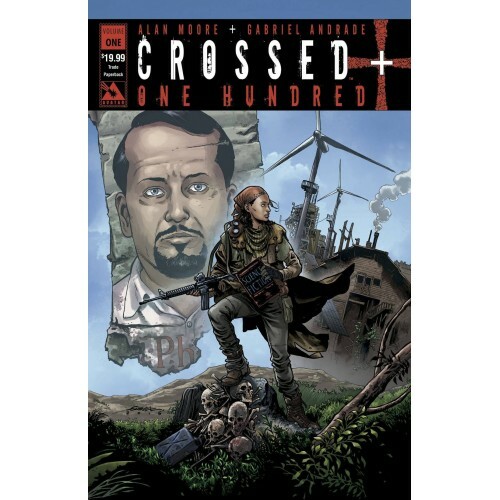 Crossed +100 Volume 1 contains the full first story arc originally presented in issues #1-6 of the comic book series.